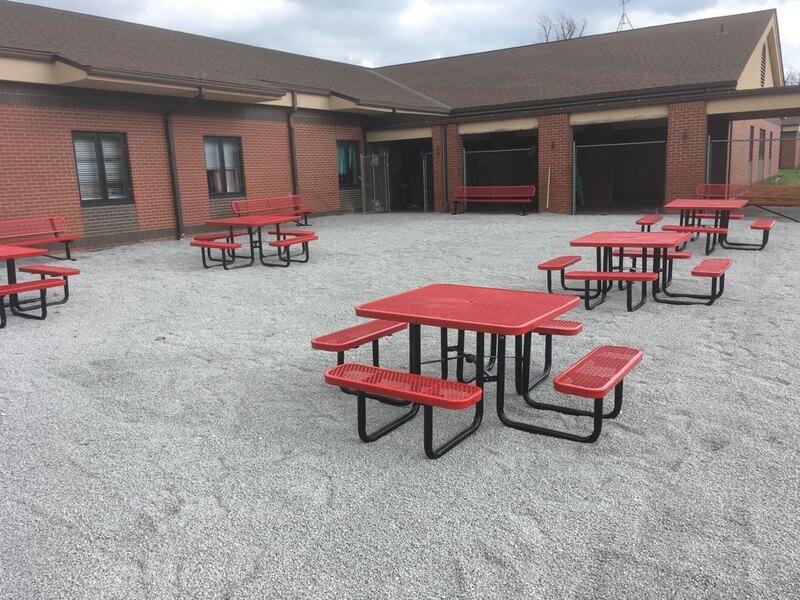 Thanks to the hard work of some of the Hickman County schools staff, a new student outdoor activities area was completed during the week off from school. The area, which can be used for many purposes, including an outdoor classroom, is located in the old greenhouse area, which had fallen into disrepair over the last few years. 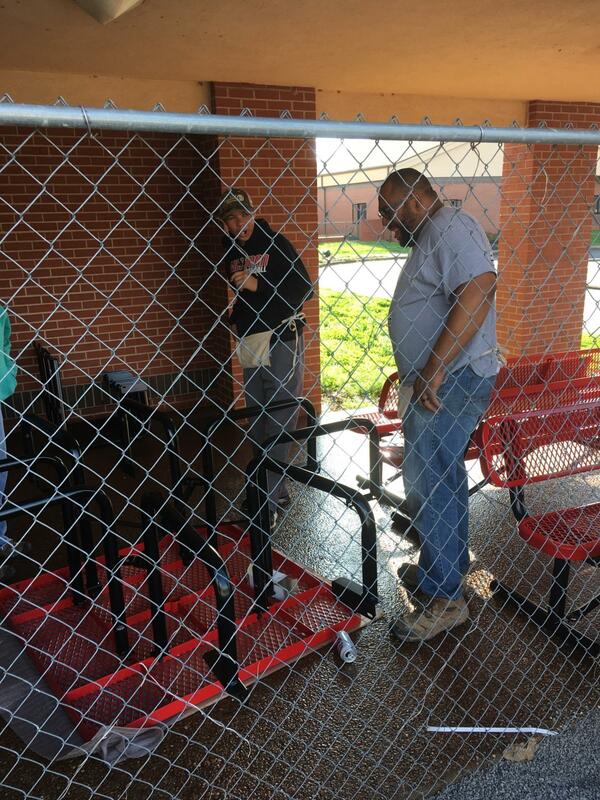 Bobby Kelly, maintenance supervisor for Hickman County Schools, and Arenzo “Bug” Harper, HCES custodian and maintenance, were among those completing the work, along with Ronnie Wilson, Jeff Boaz, and Richard Todd, HCES staff, and Kaleb Harper, HCHS student. 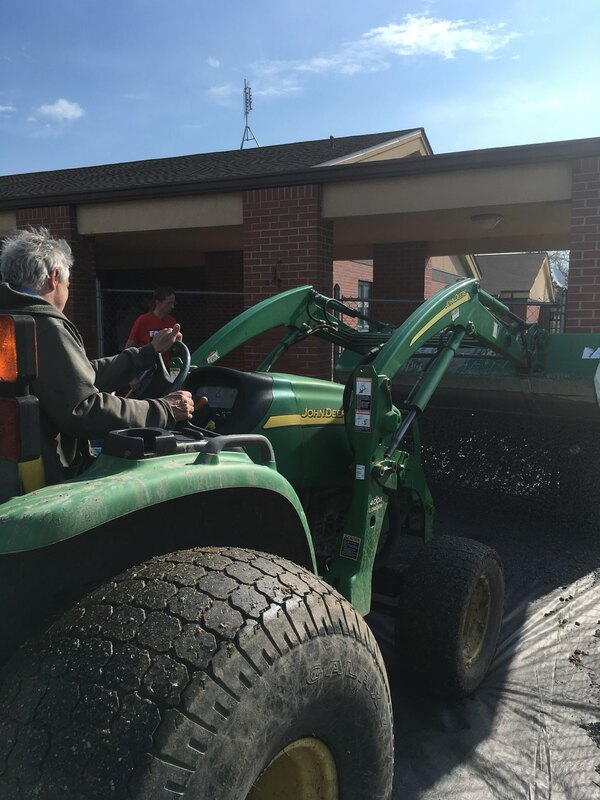 The project was completed on Tuesday, as the Hickman County schools employees devoted the day to completing the project. Picnic tables and benches in the outdoor activities area were purchased primarily by the HCES Parent-Teacher Organization using money earned during recent fall festivals and other fund-raisers.